Degree > Master of Fine Arts, Ohio State University, Industrial, Interior Visual Communication Design, 2011. Abstract > Our everyday experiences are quickly moving into digital platforms. Nowhere is this more true than in higher education. As technology advances and students evolve, the industries around education rush to provide new digital tools to augment the course experience. One example of these new tools is the digital textbook. In an attempt to meet the needs of digitally native students, publishers have made a concentrated effort to provide a digital equivalent to the traditional textbook. However, the current offerings lack a consideration for the real needs of student users, and therefore tend to detract, rather than enhance the course experience. This study aims to define a better solution for the digital college textbook. To do this, attention must is paid to all of the many aspects that contribute to the experience of using a textbook. Primarily, there are three areas that make up this experience: the historical context of the textbook, recent advancements of technology in the space, and the needs of real student users. After these aspects are better understood, insights from all three areas can be combined into a more useful solution for a textbook in the digital environment. This exploration will take the form of multi-faceted methodological approach. To start, a contextual analysis is conducted to better understand the historical implications of a textbook, the capabilities of cutting-edge digital tools, and the generational preferences of digitally native students. The insights gained from this secondary research will be leveraged later and combined with insights from a set of qualitative methods. Surveys, interviews, participatory methodologies and evaluative sessions are all be utilized to gain a deeper understanding of student user needs when using educational tools. The outcome of this study will be a set of required attributes for the digital textbook of the future. These attributes are a translation of user insights gained throughout the research process. Additionally, a tested design prototype will be proposed as a solution for the management, delivery, and use of digital college course materials. This study presents a novel approach to the gathering and implementation of user insights into new digital experiences. Insights gained in this study can be applied to other educational tools or any digital tool that aims to translate a physical experience in to a digital format. Digital Textbooks have been on the cusp of rapid diffusion for at least five years. A number of recent foundation-supported Open Educational Resources projects (OpenStax, Ohio Scaffold to the Stars) encourage the adoption of digital, low-cost learning resources. Traditional commercial publishers also have turned toward digital, with millions of students working on digital platforms. Despite these trends, most of the faculty attending this presentation adopt print, rather than digital, resources. We'll discuss the counter-trend and trend, and propose when we'll reach the digital tipping point. Session led by Steve Acker, Research Director, The Ohio Bookshelf Project, Ohio Board of Regents and OhioLINK, John Magill, Executive Director, OHIOLink, Victoria Getis, Director, Digital Union, Ohio State. A grassroots movement is sweeping through the academic world. The "open access movement" is based on a set of intuitions that are shared by a remarkably wide range of academics: that knowledge should be freeand open to use and re-use; that collaboration should be easier, not harder; that people should receive credit and kudos for contributing to education and research; and that concepts and ideas are linked inunusual and surprising ways and not the simple linear forms that traditional media present. In this talk, I will overview the past, present, and future of the open access education movement in the context of Connexions (cnx.org), which invites authors, educators, and learners worldwide to "create, rip, mix, and burn" textbooks, courses, and learning materials, OpenStax College (openstaxcollege.org), a free textbook publishing project for college courses, and OpenStax Tutor(openstaxtutor.org), an open access homework, assessment, and personalized learning system. Greiner, Tony. "All Textbooks in the Library!" A Case Study of an Experiment with Library Reserves. Library Philosophy and Practice, 2012. In the fall of 2010, a grant of $36,000 allowed Portland Community College Library to purchase and place on reserve a copy of every required text at one of its campuses. A smaller college “center” also placed all required texts on reserve. The program was very popular with students and parts of the reserve collection received heavy use. Compared to the previous fall term, overall use of reserves at the Cascade Campus library rose 35%, and the Southeast Center collection saw an increase of 110%. However, use of the collection was unevenly distributed, with 26% of the books having more than 11 uses that quarter, but a troubling number (37%) receiving no checkouts at all. An analysis of the data suggests several ways that books with 11 or more uses per quarter could be increased to over 70%. These are to purchase and process books in a timely manner, to adjust loan periods for some items, or to purchase texts only for courses with multiple sections. Use numbers compiled over the following 8 quarters show that textbooks purchased and placed on reserve will be used for several successive terms. Keywords: Library Reserves, Textbooks, Sustainability, Course Reserves, Community College Libraries. Proponents of open educational resources claim that significant cost savings are possible when open textbooks displace traditional textbooks in the classroom. Over a period of two years, we worked with 20 middle and high school science teachers (collectively teaching approximately 3,900 students) who adopted open textbooks to understand the process and determine the overall cost of such an adoption. The teachers deployed open textbooks in multiple ways. Some of these methods cost more than traditional textbooks; however, we did identify and implement a successful model of open textbook adoption that reduces costs by over 50% compared to the cost of adopting traditional textbooks. In addition, we examined the standardized test scores of students using the open textbooks and found no apparent differences in the results of students who used open textbooks compared with previous years when the same teachers’ students used traditional textbooks. However, given the limited sample of participating teachers, further investigation is needed. The AccessText Network helps college students with print disabilities by connecting their disability service offices directly with leading textbook publishers to obtain electronic files. These files are used to create accessible versions of the textbooks. Save time and energy by making the majority of your file requests from the same application. Less forms to fill out and faster response times. Subscribe to the Textbook Exchange Library to share and access formatted files from your peers with full permission from the publishers. The Dashboard is a powerful web-based data management tool that brings order to your tracking, record-keeping and reporting process. Basic Membership includes the Request/Search/Track service and 2 account logins. Premium Membership includes the Basic Membership plus a subscription to the Textbook Exchange Library. Who is eligible to join? Post-secondary institutions within the US and its territories. Who is authorized to be an account contact? A staff person who is primarily an employee of a disabled student services office at an eligible institution. People with print disabilities deserve to enjoy reading as much as all other readers. Yet, currently fewer than five percent of the books needed by people with print disabilities are available in accessible formats such as digital text or digital Braille. Bookshare®'s goal is to raise the floor of access so that people with print disabilities can obtain a broad spectrum of print materials at the same time as everyone else. People with visual impairments, physical disabilities and/or learning disabilities can look to Bookshare to dramatically increase the quantity and timely availability of books and newspapers in accessible formats. Further, Bookshare’s vision encompasses new technological developments as well as new applications of widely available technologies to stretch the power of technology for increased access to content. Building the Bookshare digital library as rapidly as possible through Volunteers, partnerships, and publishers. Spreading the word so that everyone who is eligible to join Bookshare has the opportunity to do so. Expanding the choices of access technology available for people with print disabilities. Bookshare is leveraging new technological developments that make reading digital books easier. A world map of Open Educational Resources initiatives: Can the global OER community design and build it together? 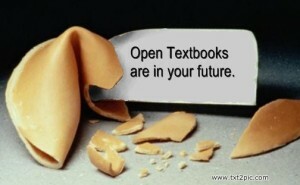 OER or open educational resources is one of the good news stories of 2011. OER takes many forms, but what binds initiatives like The Khan Academy, MIT OCW (Open Course Ware) and Stanford’s AI course is that they are all freely available to learners and other educators. It’s this “free” characteristic that has caught the attention of the press. In the context of higher education news stories about rising costs, tuition and student debt, this must be our “man bites dog” news story. Despite the importance of “free” to OER, there’s been little written about the economics of OER. How, specifically, can we make it sustainable? Even Taylor Walsh’s book on OER, Unlocking the Gates: How and Why Universities are Opening Up Access to their Courses, resisted challenging the logic of multimillion-dollar OER projects without revenue streams. In this report we investigate the facts concerning the rapidly rising cost of college textbooks. 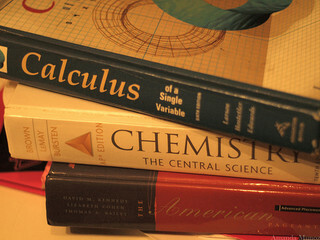 The lack of textbook affordability has drawn increased nationwide attention over the last decade. To identify the reason and context behind the escalating prices of college textbooks, a number of review boards have been established at federal, state, and campus levels, proposing a variety of new and more creative methods of textbook development and distribution. The University of Michigan is not an exception. This study report aims first to help us better understand the overall context of today’s textbook problem and then to tackle the questions of what choices we have today and what other alternatives, such as open textbooks, we should further consider in order to increase productivity and efficiency of teaching for faculty as well as to provide low-cost instructional materials for students, making education and resources more affordable. This is a preliminary study to be followed by an indepth analysis that explores the potential of putting Michigan ideas into practice,including launching a library-based college textbook publishing program as a new approach to textbook affordability. We are suggesting a framework for open access publishing of comprehensive, elaborately structured digital textbooks, potentially enriched by extensive non-textual data. The framework will comprise of a software toolbox containing a collaborative authoring platform, manuscript workflow system, tools for editorial work, presentation platform, updating workflow, interfaces for dissemination and long-term preservation. In addition to the software toolbox itself, guidelines and standards for all aspects of digital textbook publishing, including peer review, metadata and editorial procedures, legal issues as well as a business model will be developed, resulting in a best practice guide to digital textbook publishing. The software and workflows will not be developed from scratch, but build upon existing open-source software, using the example of a scientific textbook of hand surgery as its first use case. This paper introduces the project and gives a prospectus of the proposed framework. Open Textbooks: Why? What? How? When? The Saylor Foundation is offering $20,000 for accepted textbooks aligning with eligible Saylor Foundation courses, if the copyright holder will re-license them as CC-BY! We need to provide a cost-free alternative, and we need your help doing so. If you know about a textbook that might be eligible for inclusion in one of The Saylor Foundation’s free, online college-level courses, let us know! We are offering potentially millions of dollars in bounties and awards for referrals and submissions that meet our criteria. We now have two different submission options for textbook authors. If you hold the copyright for a completed textbooks that aligns with one of our eligible courses, you can submit the textbook for review right now. If have an advanced graduate degree and experience. Note: [... A]ll Flat World Knowledge textbooks published under an open license are [now] permanently and freely available from Saylor.org — free to read, free to download, free to share and remix under a Creative Commons BY-NC-SA 3.0 license. The Bookshelf will initially provide .pdf and MS Word (.doc, .docx) versions of each book. We are actively building .epub versions, which will begin to appear in the early weeks of 2013, and we will introduce a more sophisticated Bookshelf in early January. In this podcast we interview the creators of BioBook, a scalable e-text embodying six central principles of learning. It is organized into self-contained "nodes" that can be revised or reorganized for different courses and learners' needs. In addition to this interview, you can read an also read an EDUCAUSE Review article about BioBook. General biology challenges many first-year students with a new technical language, foreign concepts and massive amounts of content, threatening their progress toward completing college. BioBook, an interactive e-text designed for non-majors biology courses, relies on a Root-Branch-Leaf node structure that organizes content knowledge and provides a study-test-study-test pattern of learning. Tools embedded in BioBook give students multiple ways to engage with the content and instructors multiple ways to evaluate student progress before failure occurs. Designed to develop in an iterative fashion, BioBook will also have a price designed for sustainability without imposing financial burdens on students. BioBook aims to create deeper student learning and engagement, with the goal of improving persistence and success in general biology — a barrier to graduation for many students. General biology can be extremely challenging because it combines a new technical language, foreign concepts, and massive amounts of content. Unfortunately, many students face this hurdle in their first year, in classes too large to provide individual instruction. An interactive e-text, BioBook relies on a simple yet powerful node structure that both organizes content knowledge and provides a scaffold for assisting novice learners. Using this node structure, students follow different paths as they explore and interact with new knowledge Students can approach topics in the way that makes sense to them, rather than the order dictated by textbook authors. BioBook also teaches students how to learn using a pattern of study-test-study-test that can produce greater learning gains in nearly any topic area. To develop BioBook, we built a multidisciplinary team at Wake Forest University that includes expertise in biology (Dan Johnson), biophysics (Jed Macosko), and learning sciences (Kristin Redington Bennett), plus our technology partner, Odigia. This team planned and designed BioBook in the winter of 2010 in anticipation of the February 2011 Next Generation Learning Challenges (NGLC) grant proposal deadline. In April 2011 our team was notified that we received a Wave I grant to create a tool to combat students' barriers to learning in general biology. We had only three months to work with Odigia, who provided the platform, did the programming to solidify the design of the tools, revised wireframes, and added biology content. We successfully rolled out the pilot version of BioBook in late August 2011 and are currently collecting data and analytics on its implementation with 12 instructors and over 300 students at four regional institutions. Figure 1 shows the overall structure of BioBook. Our intent is to help students engage with the material, reach the learning goals, and consistently check their understanding with self-tests and by posing questions to other students and to their instructors. With the BioBook model, students and instructors can identify problems before failure occurs. Biology 101 and other introductory college science courses can be a significant barrier to overall college success. This well-documented finding led A. Daniel Johnson, a senior lecturer in biology, and Jed Macosko, an associate professor of physics, to search for a new way to help their students learn about genetics, ecology and evolution. What started as an idea for an iPad application evolved into a more accessible tool for the next generation of electronic textbooks, which Johnson and Macosko call “BioBook.” BioBook was created within a Moodle-based learning management system designed by Odigia. Moodle is a free, open-source Web application that educators can use to create online learning sites. “Students can access BioBook from desktop PCs, laptops, iPads and mobile devices,” said Johnson. The research and development of BioBook are funded by a $249,348 grant from Next Generation Learning Challenges, with support from the Bill & Melinda Gates Foundation and The William and Flora Hewlett Foundation. The BioBook is an interactive iPad biology college textbook that allows students and professors to create their own customized learning experience. Since the launch of the iPad, colledge educators have been seeking an inexpensive alternative to paper textbooks that could leverage the collective knowledge of teachers and students. With a $249,000 grant from the Gates Foundation's Next Generation Learning Challenge, Dr. Daniel Johnson of Wake Forest University and education technology firm Odigia might have found it. Their BioBook, an iPad and web-enabled interactive biology textbook, creates a fully customizable experience for both students and educators. For educators, the BioBook allows professors to track individual student progress and develop their own textbooks from a national database of professor-generated, mix-and-match chapters. On the student side, linear chapters are remixed into "branches and leaves," where students explore concepts as interlinked ideas, moving from fundamental facts to an array of detailed chapters, which students can explore in their own way. Many instructors have experimented with student-authored wiki textbooks. Advantages include reading and evaluating primary literature and facilitating constructivist learning. We manage the peer-review process using the Expertiza system, which allows reviewers and authors to communicate in double-blind fashion and sets deadlines for each step so that prerequisite chapters are written before chapters that depend on them. Students have given positive feedback on nearly every aspect of the process, especially on the care they put into their work and the insight they gained. Our efforts have scaled to a textbook with 40-plus sections written by a class of 120. > Understand the benefits of student-written textbooks. > Explore the reactions of students to writing textbook sections. > Learn the importance of software support for the process of writing a textbook. > Consider how various forms of peer review can provide formative feedback to authors. Myths about open textbooks rival those of ancient heroes. Learn the truth behind these misconceptions. This presentation will dispel four myths and touch on several others. OER myth: Demand is high, supply is low. OER myth: Commercial use of OER should be discouraged. Open textbook myth: An open textbook requires only the efforts and generosity of an author. Open textbook myth: All open textbooks are electronic books. Other myths: Open textbooks will destroy college bookstores; they are crowd-sourced by anonymous amateurs; the only benefit they offer is low cost. During this session, we'll address how supply and demand applies to OER, the massive scope of creating and distributing a textbook, and the importance of bound textbooks and their possible role in helping OER achieve widespread use. This session will focus on my journey of finding, adopting, and using open-source educational resources in physics and astronomy classes over the past three years. Enrollment in classes is up, students are happy, and I enjoy having complete control over all content in my courses. I will discuss resource discovery, implementation issues, and the pros and cons of using open-source materials and conclude with some recommendations applicable for any stage of open-source resource adoption. Participants will discover the joy of teaching with adaptable curriculum. In this session, we'll briefly describe Indiana University's e-text agreements with five publishers and with Courseload, the provider of the e-text e-reader software. These agreements are resulting in substantial cost savings for students and providing them with new tools for teaching and learning. The IU agreements evolved from two years of pilot testing and in response to substantial input from students, faculty, textbook publishers, and authors. We will also discuss how these agreements can be extended to other institutions through short- and long-term pilot programs, which will allow them to gather valuable data about student and faculty use of e-texts. Digital textbooks are proliferating rapidly, and while adoption rates are still low, experts predict they are here to stay due to their added flexibility, low cost, and availability for mobile devices. While optimism for their success is high, few studies examined their impact on student learning outcomes. We investigated the impact of various textbook formats (digital, print, audio) on learning outcomes in a population of 450 students. In discussing our findings we include a panel of students to share their experiences. Finally, we turn to the audience to brainstorm and analyze good practices for teaching and learning with digital textbooks. What role, if any, should colleges and universities play in the shift from print to digital textbooks (eTexts)? One perspective is that eTexts are a consumer transaction between a publisher and student, and institutions need not be involved. Another perspective is that volume licensing by institutions can dramatically reduce the costs to students and improve the terms through a business-to-business negotiation. Likewise, what software is needed? Do institutions want a common software platform for eText reading and annotation, or are four different software systems to read five eTexts just fine for a freshman? This EDUCAUSE Live! program will address the strategic, business, and policy implications for institutions in light of a changing world of consumer electronics and new models for digital educational resources such as eTexts, website tutorials, and other licensed content. As price points and terms begin to solidify in 2012, there may be a perishable opportunity to set an eText strategy that reduces the cost of higher education while serving the interests of students and faculty. To address the high cost of textbooks, Rice University’s Connexions and the Community College Open Textbook Project (CCOTP) collaborated to develop a proof-of-concept free and open textbook. The proof-of-concept served to document a workflow process that would support adoption of open textbooks. Open textbooks provide faculty and students with a low cost alternative to traditional publishers’ textbooks and can help to make higher education more affordable. Connexions provides a publishing platform for open textbook projects. The CCOTP acted as a liaison between community college faculty, open textbook authors, and Connexions. Challenges to the production and adoption of open textbooks include 1) faculty members’ and students’ expectations of high production quality and ancillaries for open textbooks, 2) methods for documenting and maintaining control over various versions, and 3) the process of converting existing open content to digital and accessible formats. Connexions holds promise as a means to overcome these challenges. Connexions identified lessons learned about open textbook production, such as the importance of a style guide, the advantage of assembly-line workflow, and the importance of naming conventions and standard math authoring tools. Connexions also identified lessons learned about open textbook use by students and faculty, e.g., the value of availability and customizability, the importance of interactivity, the difference in how faculty and students view modularity, and the importance of textbook reading navigational aids. The authors note that the CCOTP recommends using Connexions as the common repository for open textbook content in an effort to provide greater national and international access. The information is a three-step process to adopting open textbooks for educators. It is a modified version of the Find, Author, and Share Open Textbooks course developed by the College Open Textbooks Collaborative. 3. Sharing your knowledge of discovery and adoption of open educational materials with others in your discipline, campus, or learning community. BCcampus is supporting the Information Communications Technology (ICT) Collaborative Online Program in testing the open textbook waters with a pilot project this year. So far, the project has involved providing an online course, and investigating authoring tools for creating open textbooks from the various open educational resources (OER) found online. With open textbooks, ICT students could take advantage of course material using current technology: interactive models and multi-media components. Moving to open textbooks would minimize the cost of texts to families and students and create a financial saving for the ICT program. The current cost of the texts for these three, plus two other required courses is $371.91. With a projected enrollment in the program of 40 students and also an additional 100 students in face-to-face programs outside the ICT Collaborative, that's an estimated cost saving of $52,000 annually to students. 31 Oct 2011 > Today the Washington State Board for Community and Technical Colleges (SBCTC) is launching The Open Course Library, a resource of open course materials from the top courses in the system, set to save nearly half a million students (and taxpayers who support many of them in financial aid) nearly a thousand dollars each every year. "It's an effort to take the highest enrolling and most critical 81 courses, and create openly licensed content for every course," said Tom Caswell, Open Education Policy Associate, SBCTC. Washington State set aside $750,000 for the initiative, which receives matching support from the Bill and Melinda Gates Foundation. About 90 community and technical college faculty are now involved across the state. The open courses have already been adopted by the creating faculty, who in one year who will have realized savings of $1.2 million--nearly enough to cover the cost of the entire first phase. With Ginkgotree’s public launch, faculty are now free to take advantage of the full capabilities of digital materials - the customization, inclusion of all media types, flexibility to make instant edits, increased connection between students and their professor and peers, and powerful analytics. As a web app, Ginkgotree is accessible to anyone with an internet connection. Faculty can import any of the materials they already use, as well as any type of media they desire, including PDFs or copyrighted or open source material, pictures, videos, and audio. For copyrighted material, they can clear the licensing right in Ginkgotree, and see their student’s costs immediately. Since the system is targeted at lowering costs for professors and their students, while simultaneously making access to high-quality materials easier than ever, Ginkgotree publicly supports the inclusion of open source and public domain content, while understanding that many educators will want to use the materials they’ve trusted for years. Hence, all material is welcome. 2. Creative Commons Licenses . 4. Why Open Access Textbooks? The Community College Open Textbook Project (CCOTP) was developed to support the use of textbooks that are freely available and accessible online, and that can be adapted by teachers and learners to meet their unique needs and contexts. This article presents the findings of a research study conducted by the Institute for the Study of Knowledge Management of Education (ISKME) on CCOTP. The study examined the adoption and use patterns of teachers and learners as end users of open textbooks, finding that important initial drivers of use included reduced cost, dependable quality and ease of use, and that teachers and learners use open textbooks in ways that reflect their existing teaching and learning practices. The study also showed the potential for new teaching and learning behaviours aligned to the use of open textbooks, including increased teacher collaboration on curriculum development and the interactivity of open materials as an enhancement of student learning. In addition, the study identified challenges for the sustainability of the open textbook model, including teacher technological efficacy and professional development that supports open textbook use. Resources & cohorts for encouraging adoptions of open textbooks through campus advocacy & workshops. Our members are: Advocates for Open Textbooks and Trainers of future Advocates. Keep in mind the level, or depth of textbook you need. Can a 'Spotify for Books' Really Work? I formerly had primary responsibilities for Collection Development, Instruction, and Reference and Research Services in Chemical and Biological Engineering; Civil, Construction, and Environmental Engineering; Industrial and Manufacturing Systems Engineering; and Mechanical Engineering; Alternative Energy; Environment Sciences with the Library of Iowa State University. I was employed from April 1987 to July 2014. Prior to joining ISU, I served as the Museum Librarian at the Carnegie Museum of Natural History, Pittsburgh, and as an Assistant Librarian with the Library of the New York Botanical Garden in the Bronx, my hometown. I received my Master of Science degree in Library Science from the University of Illinois-Urbana-Champaign in 1975, and my undergraduate degree in Anthropology from Lehman College of the City University of New York, The Bronx.